Parties are listed in the order in which they came in the 2011 Assembly election. 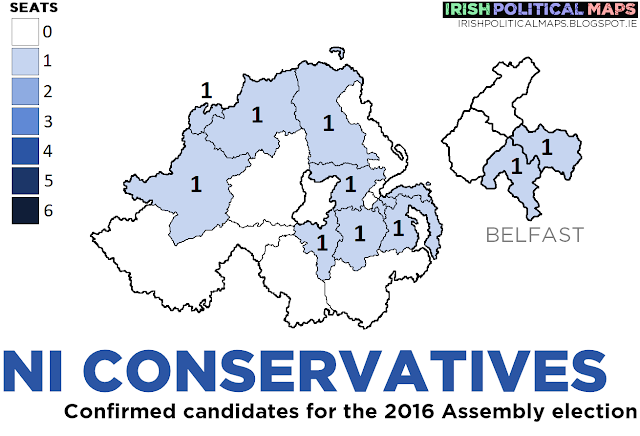 With a new leader in Arlene Foster, the DUP will be hoping to stay as the largest unionist party in the Assembly. The majority of their candidates are outgoing MLAs. 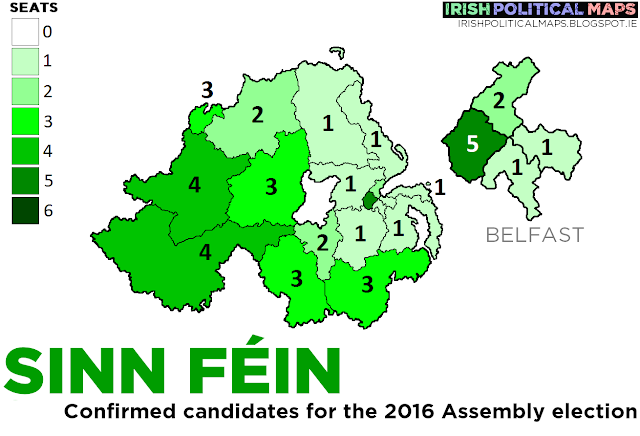 Having gained seats in the Dáil election in February, Sinn Féin will be hoping for a good result in Stormont as well. 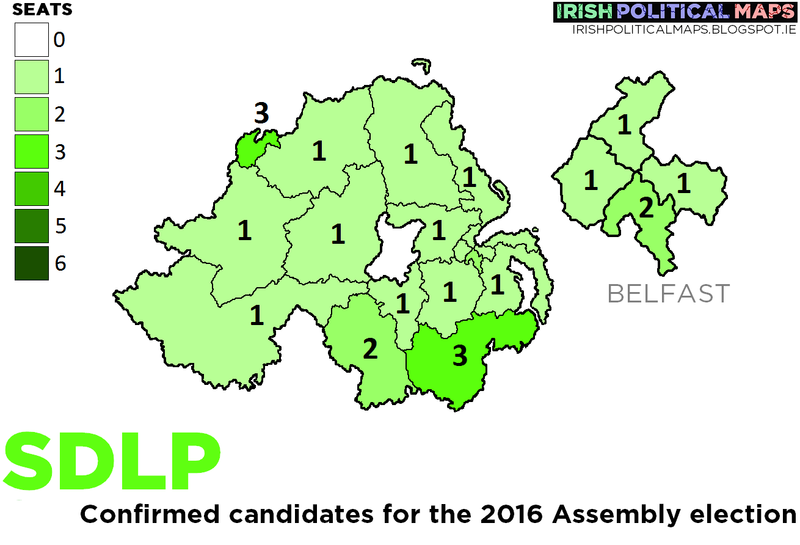 With Martin McGuinness moving to Foyle, the party is positioning itself against the SDLP. 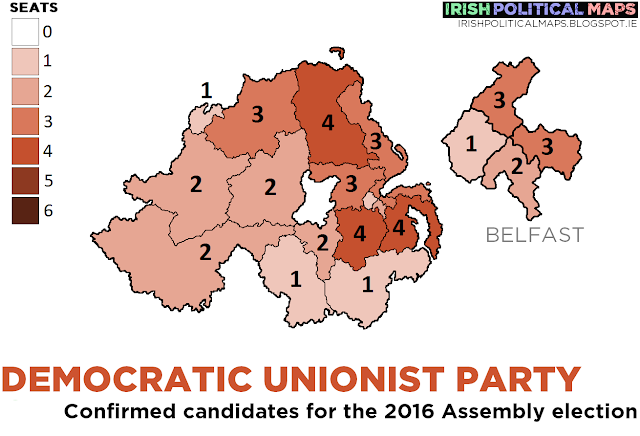 Can the UUP reverse the decline it's experienced over the past decade and a half? Leader Colum Eastwood has promised an SDLP resurgance, but it remains to be seen if the results will vindicate him. 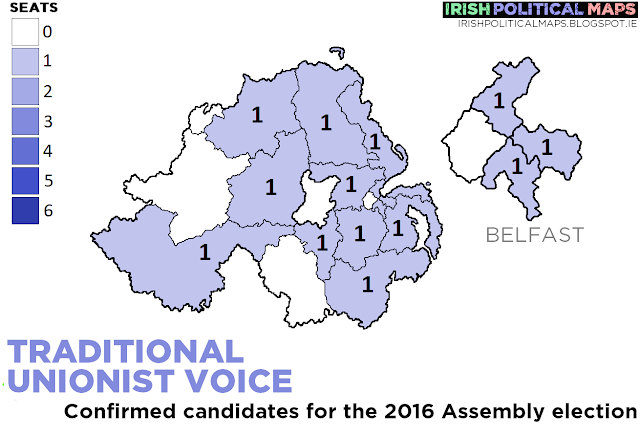 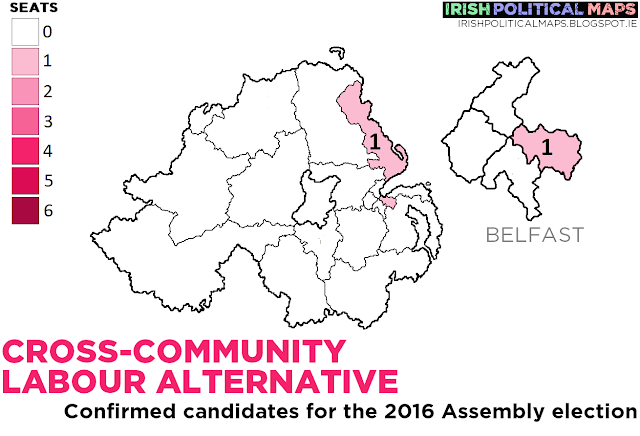 The Alliance Party is running candidates in every constituency, but can they expand beyond their usual eastern base? The Greens are also running in every constituency. Will Steven Agnew be returning, and will he bring others with him? Jim Allister's party might find it difficult to break through in an increasingly crowded unionist field. While they've made waves in Britain, UKIP has failed to have any major impact on Northern Irish politics. 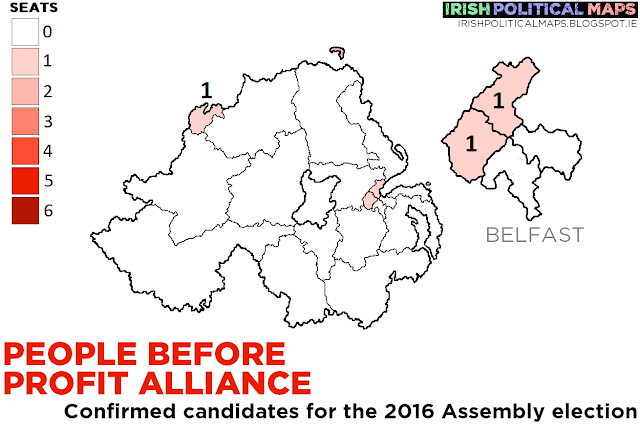 Although David McNarry's defection gave them their first MLA, his retirement might mean it'll be back to the drawing board. 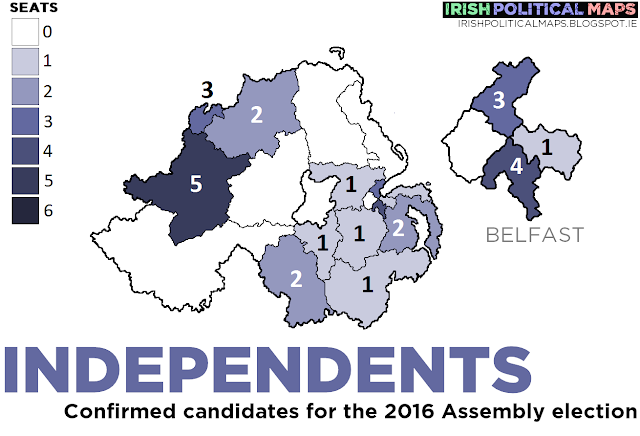 There's quite an array of independents running - nationalist, unionist and other. Five are running in West Tyrone alone. 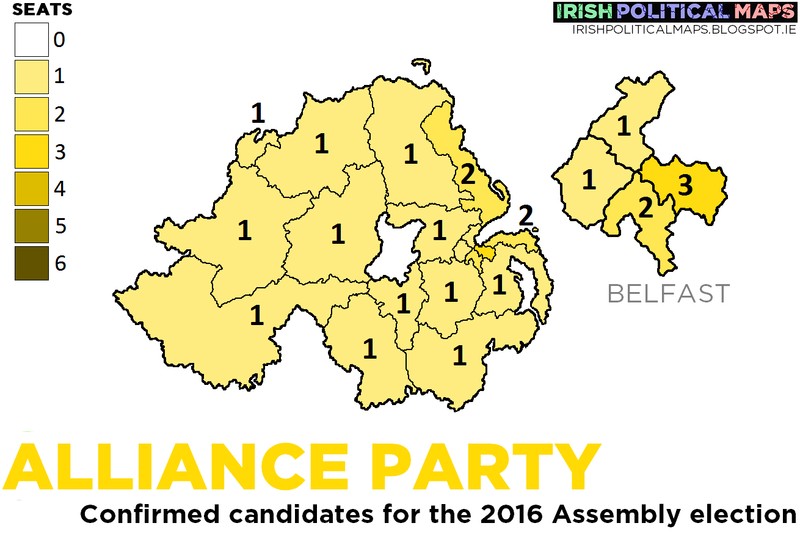 The following parties were not represented in the outgoing Assembly. 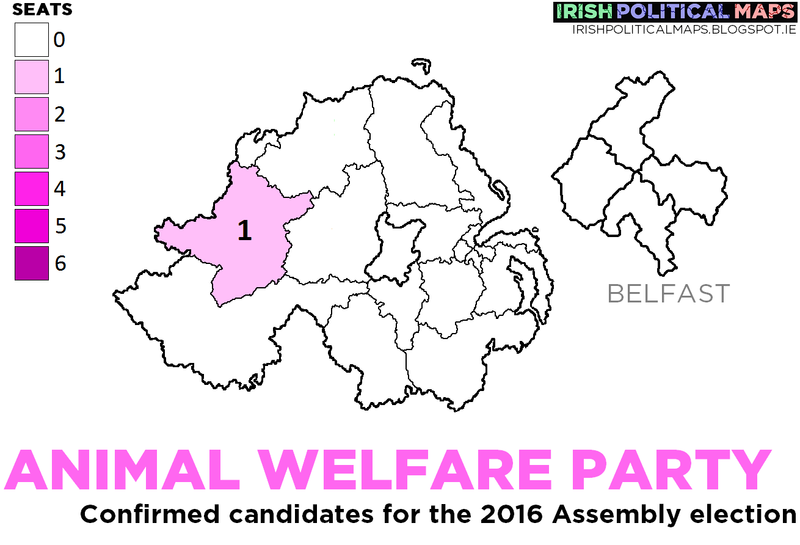 A Britain-based party, they are running a candidate in West Tyrone. This group have candidates in Antrim and Belfast. 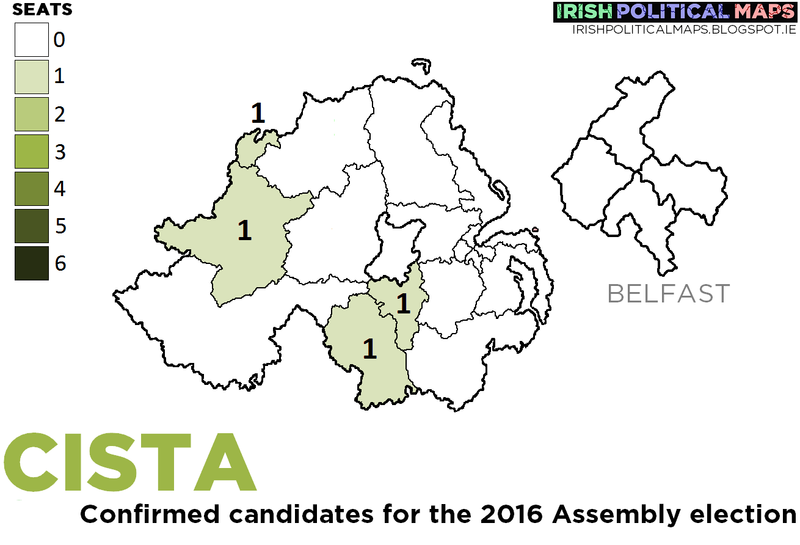 CISTA (Cannabis is Safer Than Alcohol) are an issue-based party which ran in the 2015 Westminster election, though failed to gain many votes. Will they see more luck this time? After the breakdown of their pact with the UUP, the Conservatives have been attempting to run in Northern Irish elections under their own name, albeit to no success so far. 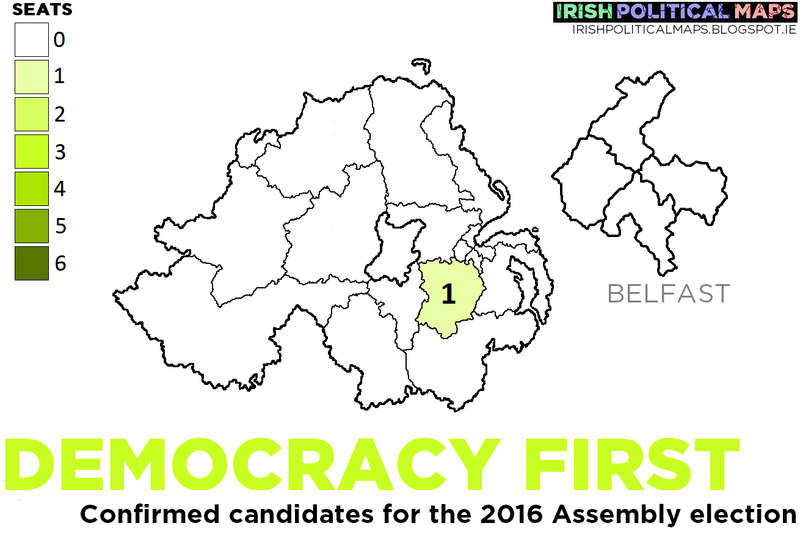 This group are running a candidate in Lagan Valley. 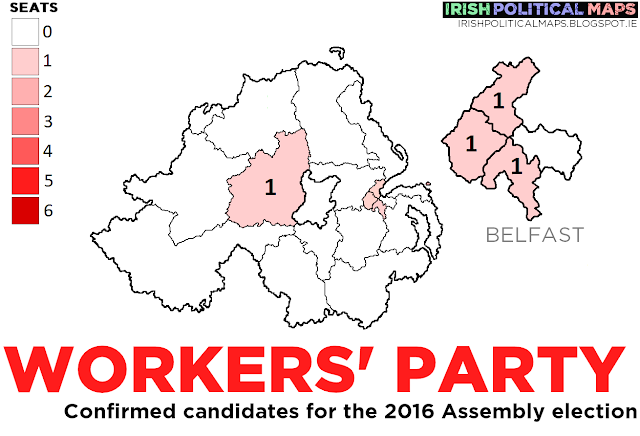 Another Labour-based group, running in constituencies across Northern Ireland. Having made gains with the Anti-Austerity Alliance across the border, will the PBPA gain momentum here? 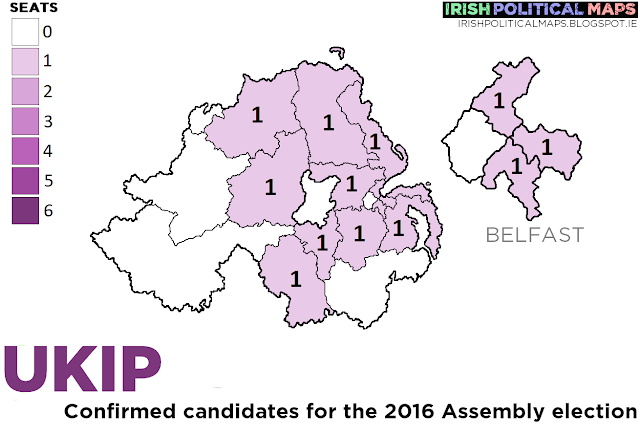 Six candidates are running for the PUP. 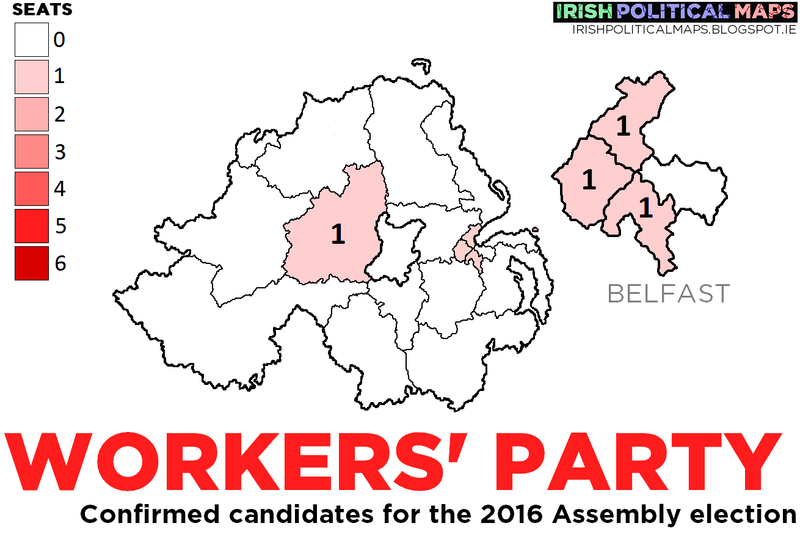 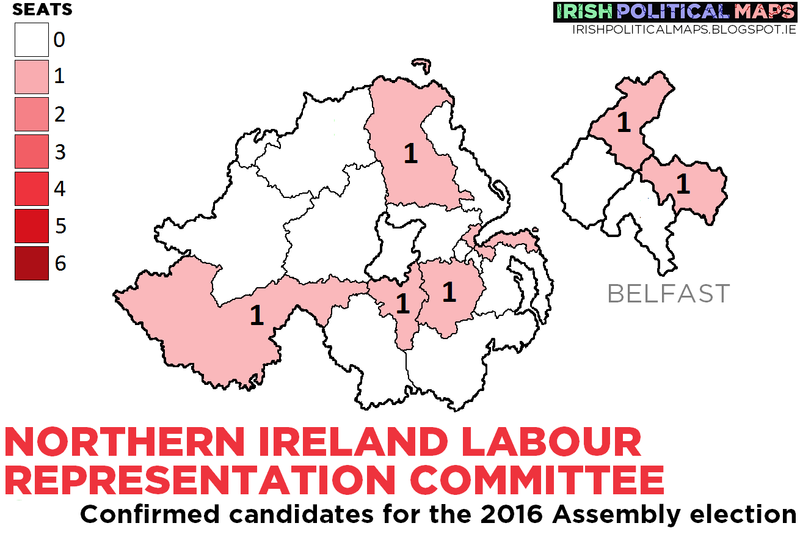 Workers' Party candidates are running in Belfast and West Tyrone.